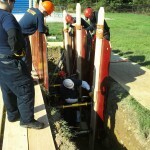 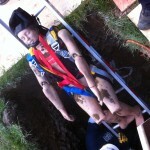 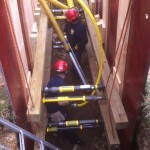 9/29/12 – PFD members came together at the JFK recreational complex to participate in a trench rescue class. 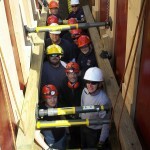 The class was hosted by Yorkville Hose and was taught by Randy Padfield from HACC. 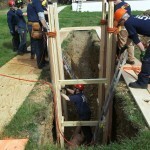 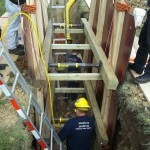 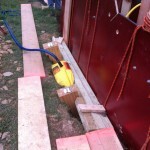 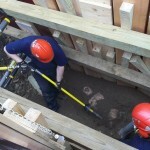 Crews used various techniques to shore up the trench and stabilize it in order to perform a rescue or recovery.